Getting a Master of Science in Nursing degree can open up new and exciting career opportunities for ambitious, motivated individuals. Today, there are more ways than ever to obtain an MSN degree and getting your education online has many unique advantages in and of itself. With an MSN, you have better opportunities for employment at prestigious hospitals and healthcare institutions while obtaining a higher position more quickly within your respective organization. With an advanced degree, you also increase the possibility of earning a higher salary. Some certified registered nurses (RNs) earn as high as $150,000 on average and other qualified professionals earn approximately $96,000 a year. To obtain a more advanced level of expertise and excel further in the healthcare profession, a master’s degree can support you on this journey. At the undergraduate level you can only cover so much material with core classes in other subjects and introductory courses that need to be taken. Once you have a thorough knowledge of the fundamentals, only then can you dive deeper into specific topics and fields. At the graduate level, you can specialize in the particular aspects of the field that interest you the most. Whether you are more fascinated with the thought of becoming a nurse educator, a management leader, or a family nurse practitioner, all of these exciting career paths become much more viable options for you at the graduate level of Florida National University’s (FNU) MSN program. BRUSH UP ON YOUR NURSING SKILLS! With a higher education degree, you can feel more fulfilled in your day-to-day work as it allows you to take on greater responsibilities and do more to help patients directly. A top-level degree indicates that you are more capable of making health care decisions on your own. Additionally, with higher levels of responsibility, you will also be able to make more of an impact shaping your own organization’s health policies and best practices to improve the quality of care for all patients. MSN degrees distinguish you from other candidates and allow for greater flexibility in your working schedule. With an increased demand for higher educated nurses, MSN graduates oftentimes find that they have more power to ask for more normal work hours than without the credential of a masters. Without the possibility of having to work as much, you can spend time caring for your community and your family. As a typical registered nurse with an undergraduate degree, your career opportunities are much more limited as you age. Being on your feet consistently throughout the day can become increasingly difficult as you grow older, and with an MSN, transitioning to an administrative role may serve as an alternative career route. The ability to branch out into other areas of the healthcare industry can empower you to continue your life’s purpose in helping others while allowing you to work in the field for a longer time. Getting a master’s degree in nursing is well worth the investment. The demand for higher-educated nurse practitioners continues to grow and the advantages to obtaining an MSN degree are very clear. Unaffordable tuition costs and rigid course schedules used to make going back to college for a master’s degree rather unrealistic for many practicing nurses or new undergraduates. Fortunately, with modern day technology and convenient online course offerings, earning an MSN degree at a manageable cost on your own schedule is now possible. Flexible start dates, part-time options, accelerated options, and the ability to work on your own time can all allow you to earn your MSN at a customized pace that works best for you. Having to drop everything to pursue a higher education degree isn’t realistic or possible for most people. With a family to care for, commuting costs, and a challenging work schedule, earning your degree in the traditional classroom setting can be next to impossible for many people. Online classes offer a flexible schedule and allow you to study at the times that are most convenient for you. By working on your degree at more conducive hours of the day and week, you can engage more deeply with what you are learning and study anywhere in the world! Open up new career opportunities and make a meaningful impact on the lives of patients with an MSN from Florida National University. We offer an excellent Master of Science in Nursing program and RN to MSN track. 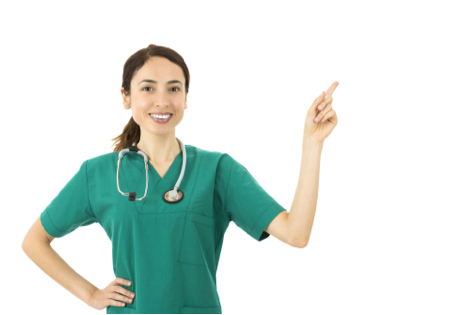 Our MSN program will build upon your baccalaureate nursing degree and professional experience in the field to further your knowledge and skill sets for successful employment in your area of choice. Our Nurse Educator and Nurse Leadership/Management concentrations can be taken entirely online, and our Family Nurse Practitioner concentration is a hybrid concentration, which means that you will need to take some courses on campus in order to graduate. 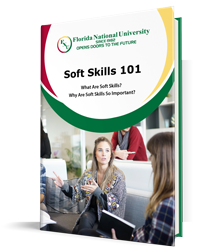 Earning your MSN is easier than ever with Florida National University. Achieve personal and professional success at a pace and schedule that works best for you. To get started pursuing a higher education degree, don’t hesitate to reach out to Florida National University now. We provide financial aid assistance for qualifying students. We want to help support you in earning an advanced degree in a way that is most convenient for you. If you have any questions about our MSN program, fill out our online contact form today. The baccalaureate degree program in nursing at Florida National University is accredited by the Commission on Collegiate Nursing Education (http://www.ccneaccreditation.org).